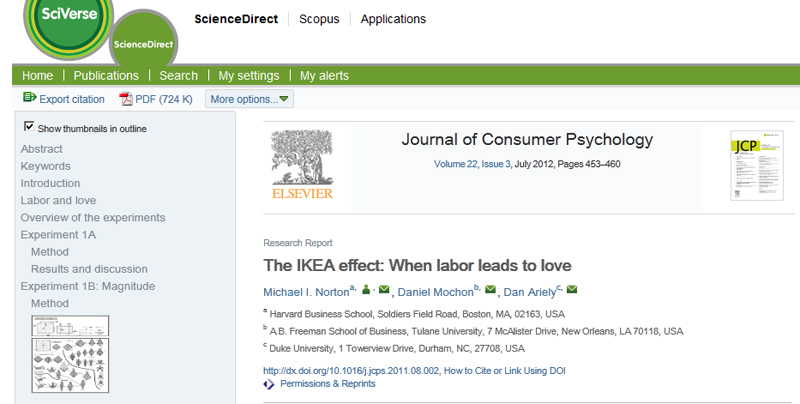 Three professors wrote about the IKEA effect in Elsevier's Journal of Consumer Psychology in July, introducing the term and concept into popular culture. 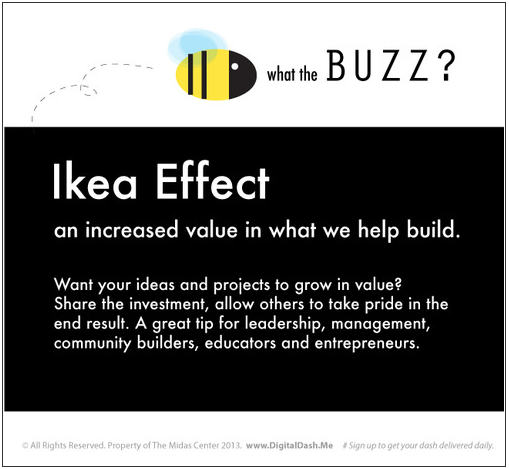 The idea is this: people value the items they help create. Much like that IKEA furniture that comes in a gazillion pieces tucked tightly in a cardboard box, the project of building it into the finished piece of furniture fosters pride. This pride in the process is understood to add more value to the finished item. Researchers are calling it the IKEA EFFECT. She relates this phenomenon to effective leadership and management with the following tip: "Want your ideas and project to grow in value? Share the investment, allow others to take pride in the end result." Andrea Cook is a digital communications expert, founder of The Midas Center, an event correspondent and the creator of Digital Dash, which she describes as "a social project that infotains with visual transmedia on today's trending topics."